Happy Korean Lunar New Year! Can you believe the first month of 2019 is already over? Neither can we! 2019 is the year of the golden pig, and Koreans celebrate the Lunar New Year, or ‘Seollal’ in Korean, which is one of the biggest holidays in Korea. This year, Korean Lunar New Year is from the 4th to 6th of February. During the holiday period, many Koreans head back to their hometown to see their families and pay respect to ancestors. As most people head out of Seoul during this time to see their families, the city that is usually bustling with people becomes a lot more peaceful and quiet. Also, many businesses including major department stores and small local shops close during the holiday period. But don’t be in despair as travelers (or you!) can find and partake in Seollal events at many tourist attractions and destinations within and around Seoul. Check out these destinations where you can celebrate and make the most of your trip during the Korean Lunar New Year holiday! South Korea’s three best theme parks, Lotte World, Everland and Seoul Land are open during the Korean Lunar New Year and they offer various attractions and Seollal-themed events like sledding, light shows, and parades. Han River (Hangang River) Ferry Cruise is the best way to enjoy the scenery of Seoul. You can see some of the most famous landmarks on the cruise such as N Seoul Tower, the 63 Building, and the Sports Complex. Luckily you can enjoy the Han River Ferry Cruise during the Korean Lunar New Year along with the live music performance and fireworks. They also offer a luxurious buffet cruise. Consider having a nice dinner with your special someone along with the live music & fireworks celebrating Korean Lunar New Year! If the royal palaces are somewhere you’ve been meaning to visit, Seollal is the perfect time to go. 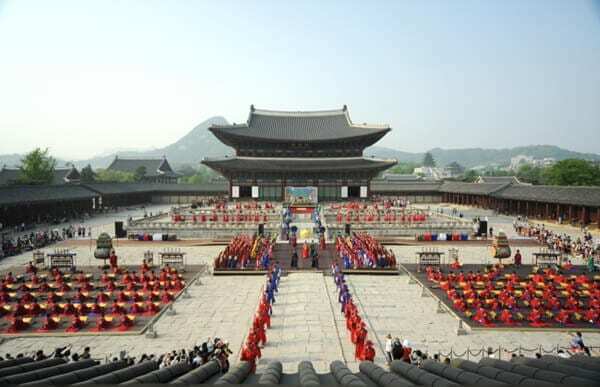 Four of the royal palaces in Seoul (Gyeongbokgung, Changdeokgung, Changgyeonggung, Deoksugung) will be open and will showcase different programs for the guests. Programs include traditional rituals and games, activities that you can participate in and performances like the famous “changing of the guards” ceremony with the palace as the perfect backdrop. You can also have an in-depth tour of the Korean royal palaces here. You may perceive museums as mundane places, but head to one during Seollal and you’ll find that it’s actually quite fun and exciting! 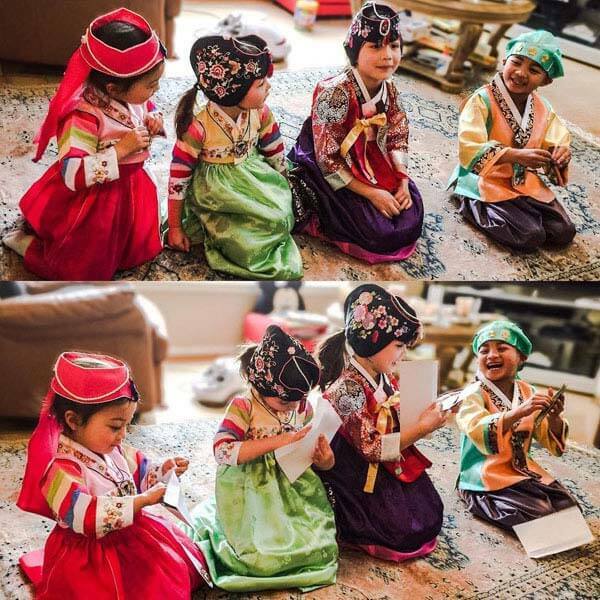 During Seollal, the National Folk Museum of Korea, located in Gyeongbokgung Palace offers a range of hands-on programs and exhibitions such as arts and crafts and traditional folk games for visitors of all ages to enjoy. You can try playing Korean traditional games like “paengichigi (top spinning)”, “jegichagi (hacky sack)” and “yutnori (a board game where you throw sticks)”. The Namsangol Hanok Village is a collection of five traditional Korean houses from the Joseon Dynasty that have been restored. As part of the Seollal festivities, here you can register for various experiences involving Korean traditional percussions, folk songs, games and more. It’s sure to be a lot of fun! 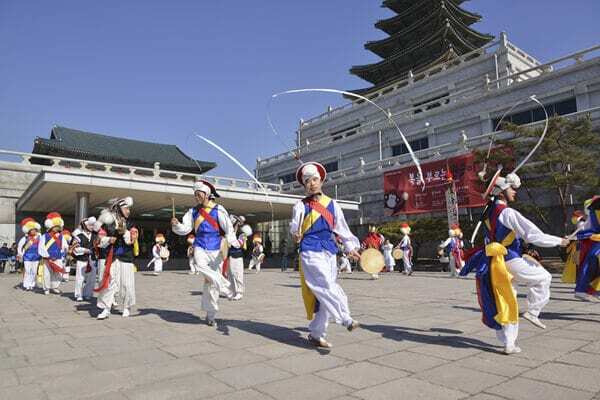 The Korean Folk Village is also hosting Seollal events such as folk games and traditional Korean music performances. There are also performances like tightrope walking, horseback martial arts and role-playing by actors donned in makeup and outfits that make it look like they’re from the Joseon dynasty. Have a private tour to the UNESCO-designated Suwon Hwaseong Fortress and Korean Folk Village in one day here. The National Gugak Center is a place that preserves and promotes Korean traditional music and performances. During Seollal, there are special cultural performances about the history of Korea that are both educational and entertaining! Other major tourist attractions that are also open during the Korean Lunar New Year holiday period include COEX Aquarium, N Seoul Tower, and Myeong Dong Nanta Theatre. All of them are easy to reach by subway and they are truly wonderful places to visit with your family and friends and have a great time together. So, what are you waiting for? Do try a visit to one of these spots during Seollal! 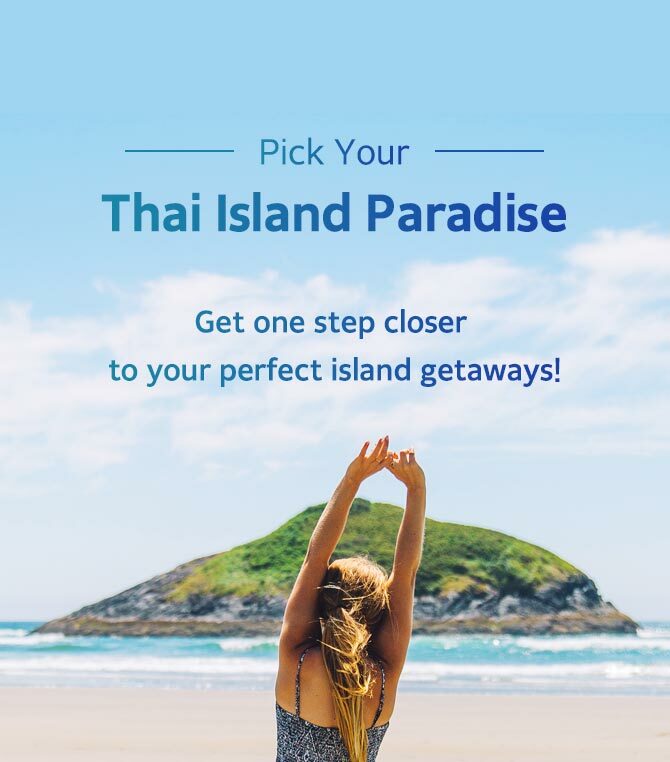 If you enjoyed this post, don’t forget to check out Trazy.com, Korea’s #1 Travel Shop for more fun and exciting posts like this one! Thanks for the info! How about the markets like Dongdaemun,, Gwangjang and Namdemun markets? Will they be open? Hello! While Dongdaemun Shopping Complex & Shopping Town will be closed during Seollal holidays (Jan 27~30), the Migliore building will be closed only on Jan 27~28 and will open on Jan 30. Namdaemun Market and Gwangjang Market will also be closed during the Seollal holidays but this may vary by stores and buildings. Hello! I’m trying to find somewhere for a dinner on Saturday 28th, preferably Korean food. Every restaurant seems to be closed for the holidays! Do you have any recommendations, preferably in the Insadong area? Thank you!